23 Mart 2019 Cumartesi 19:02 - 3 reads. 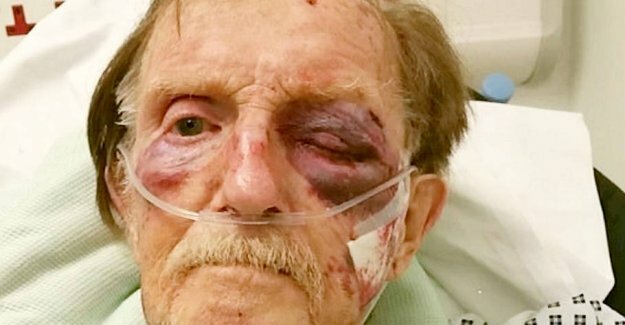 17. november 2017 was 87-year-old Arthur Gumbley roughly assaulted by a group of men who broke into his home in Sutton Coldfield. Arthur Gumbley, of friends was called the Bob, was after the robbery, found in a lake of blood. On the walls there were marks from the older man's fingers. He was rushed to the hospital, where he died of his injuries three weeks later. Subsequently, a 20-year-old man, Jason Wilsher from Bagworth, was arrested after police found his DNA on the handle of a drawer in Arthur Gumbleys home. He has now been found guilty of murder and to plan the robbery. It writes among other Birmingham Live. It is expected that Jason Wilshers judgment is going to sound to life imprisonment for the violent attack on the elderly man. During the robbery, which, according to the information that has come forward in court in Stafford, was committed by at least two men, was all the space in the Arthur Gumbleys home analysed. In addition to gold and silver jewellery and 800 pounds in cash, slap the perpetrators, among other things, set off with an ancient coin, as Arthur Gumbley had found with his metal detector. After the robbery succeeded Arthur Gumbley to put power to a telephone, that would otherwise have been disconnected from the of the robbers. He phoned his daughter, who owed it to themselves to call ahead to the police. In previously unseen footage, which among other Birmingham Live is in possession, shows the elderly man being interviewed from his hospital bed 12 days before his death. - All I can remember is a tall guy, and I said kindly, ’what are you doing?’ and then he struck me in the forehead, explains Arthur Gumbley police in the video. He toppled me down on the floor, and then he kicked me in the side. - I went from the kitchen to the living room and said to him, ’what do you want?’ He said, ’where is the money?’ I said, ’they are in my purse’. I think I threw it over to him, reads it from the injured man. Police are investigating still the case in the hope to find the remaining perpetrators.